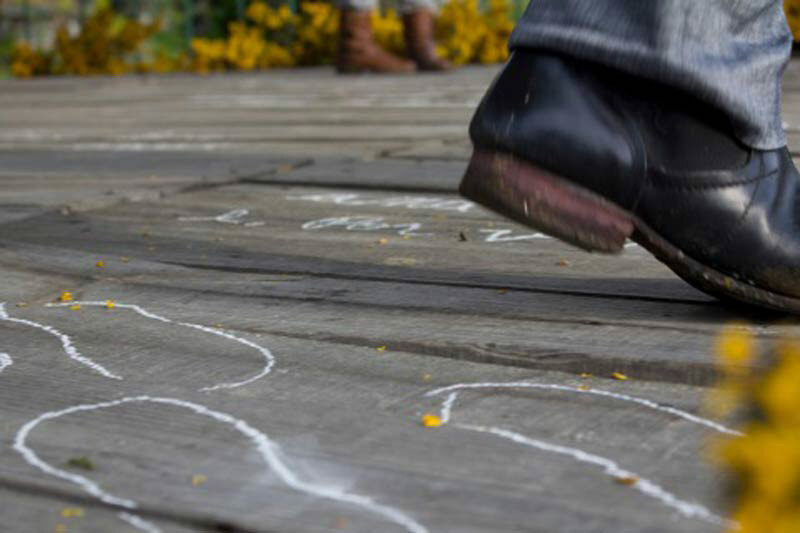 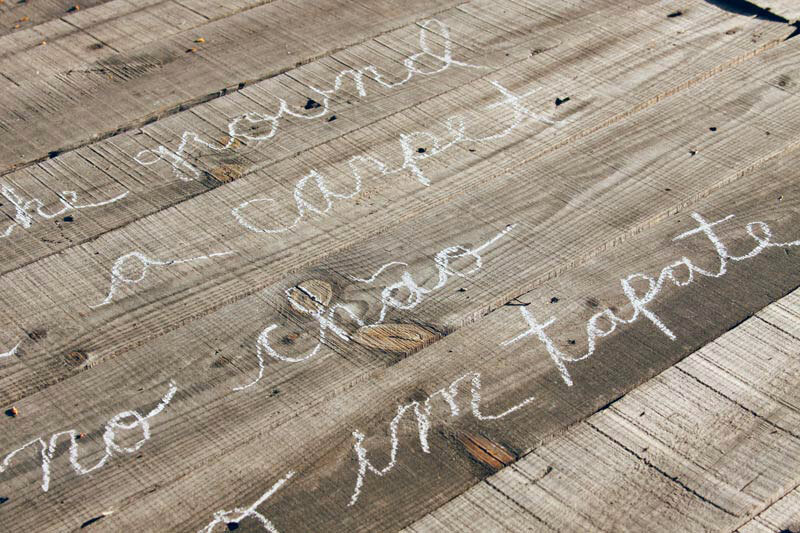 Medium: Audio Installation, Chalk, Flowers. 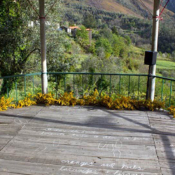 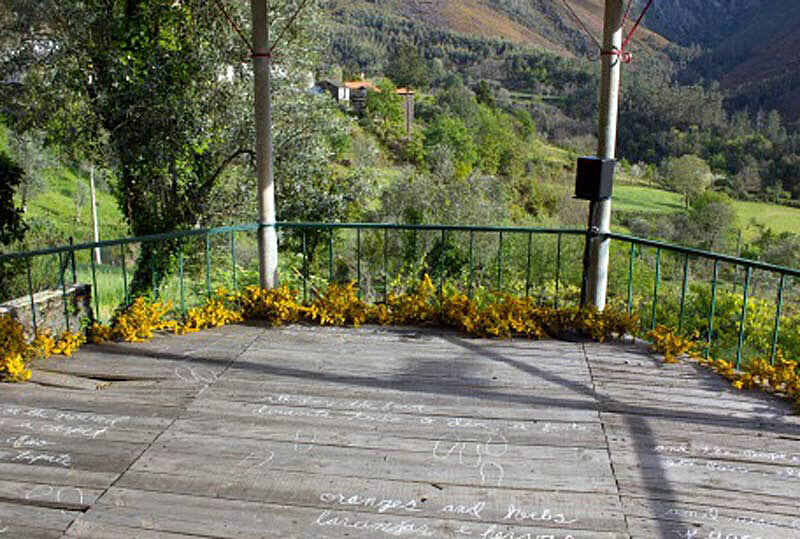 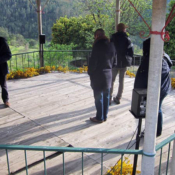 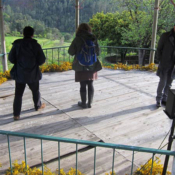 Temporary work installed in an abandoned bandstand in a rural village, Northern Portugal. 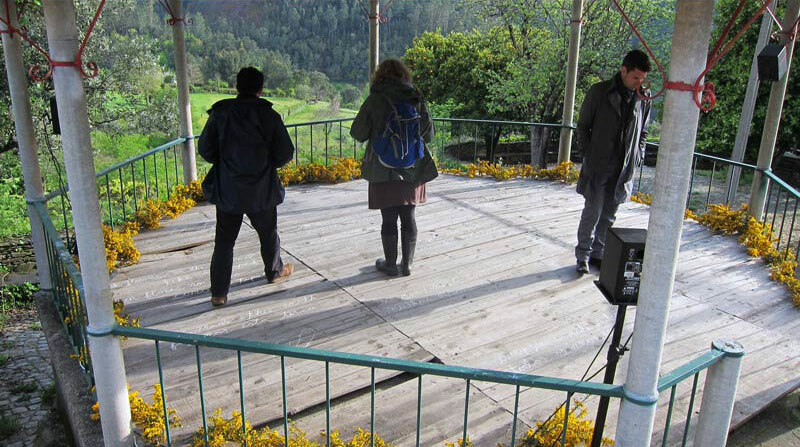 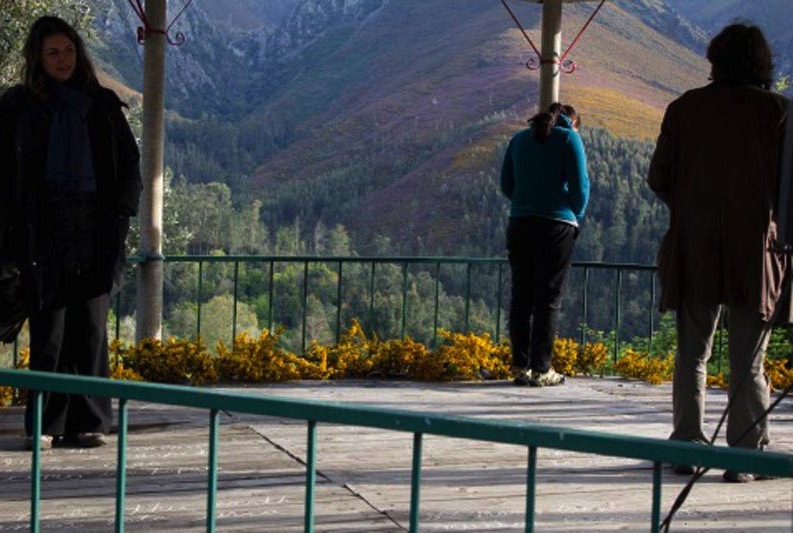 Commissioned as part of the Binaural|Nodar Rural Architecture Residency. 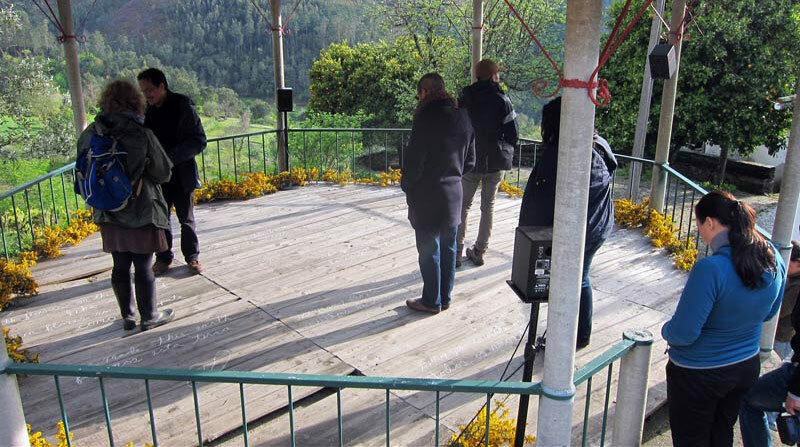 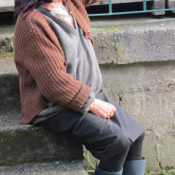 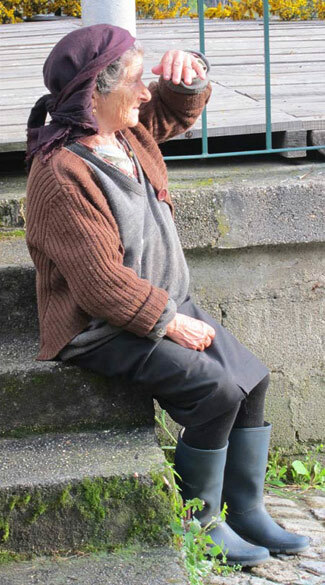 4-channel Audio features field recordings from the region and voices of villagers describing the history and abandonment of their village due to economic downturn. 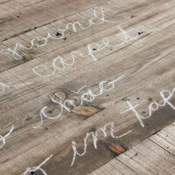 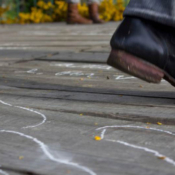 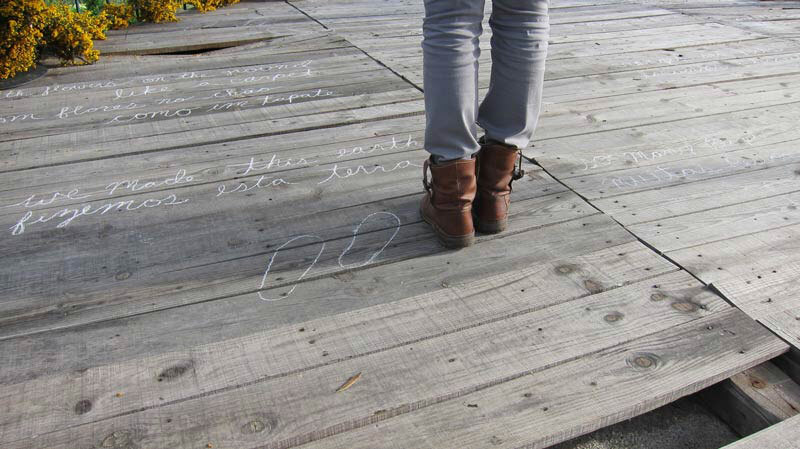 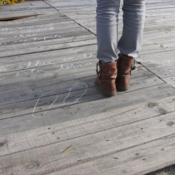 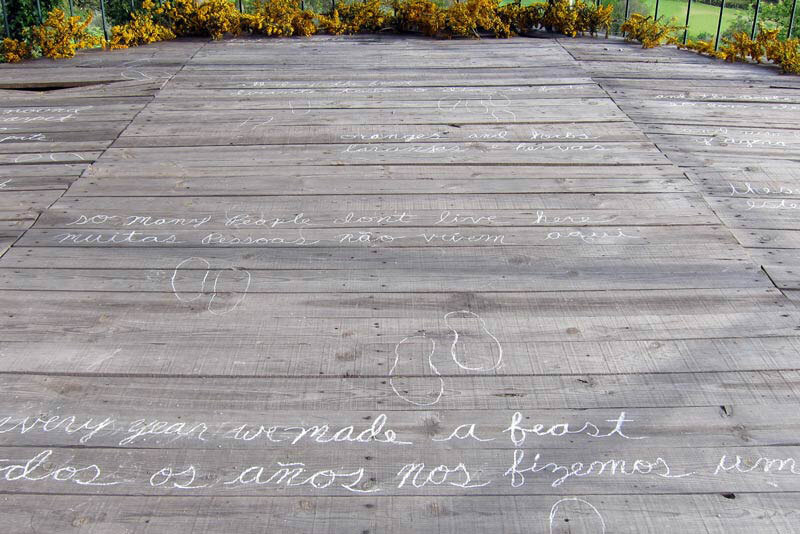 Chalk text is excerpted from the interviews and printed on the bandstand floor. 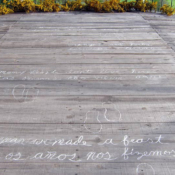 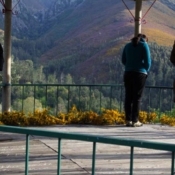 Transformed a deteriorating structure into an art “happening” and place of pride for residents.